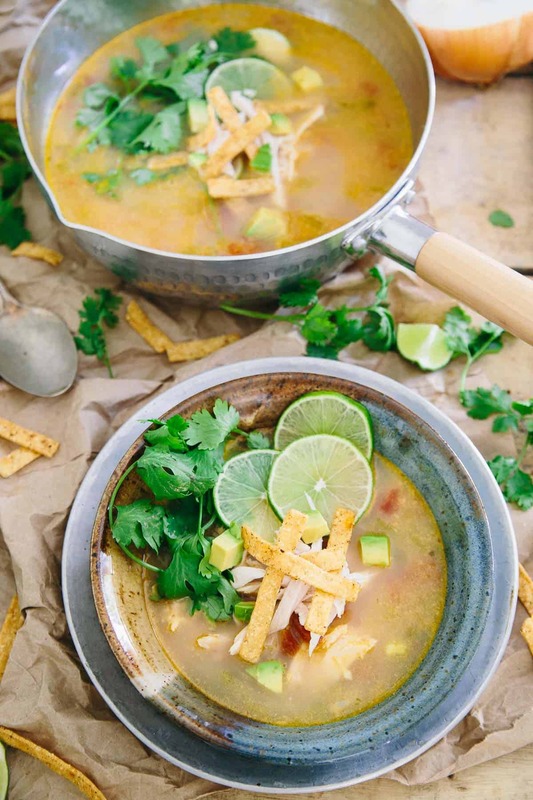 This Sopa de Lima (Mexican Lime Soup) recipe comes from Mexico Lindo Cooking School in Cancún. A classic, simple dish so full of flavor from the Yucatán. This is a post long overdue. Really long overdue. Back in April I attended the Cancún Wine and Food Festival. 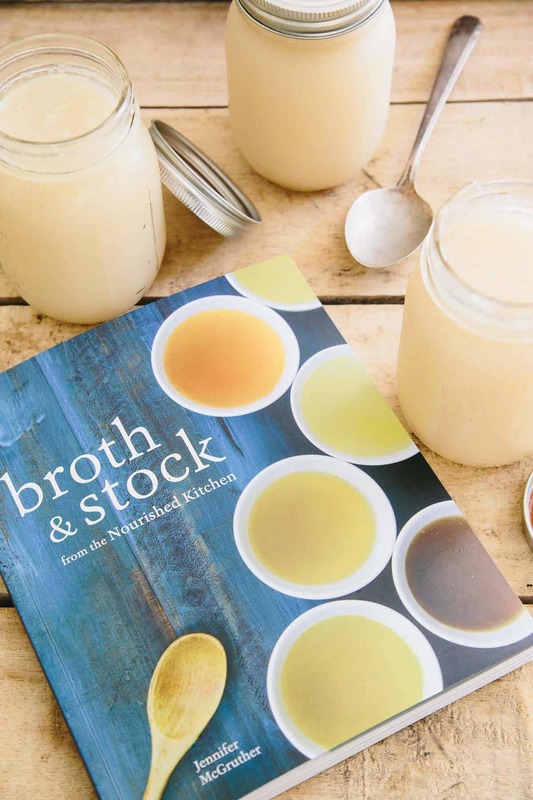 Around the same time I received Jenny’s book, Broth and Stock. Today, I’m finally talking about both with this traditional sopa de lima (Mexican lime soup) recipe. As part of the 2016 Cancún Wine and Food Festival, I was lucky enough to attend a half day cooking class off the beaten path at Mexico Lindo Cooking School. While the festival weekend was packed with celebrity chefs from all throughout Mexico, high end, modern cuisine and lots of frills, my 4 or 5 hours spent at the cooking school, making all sorts of traditional Mexican cuisine in a casita set back among the woods surrounded by gardens of organic produce was by far my favorite experience of the short time there. 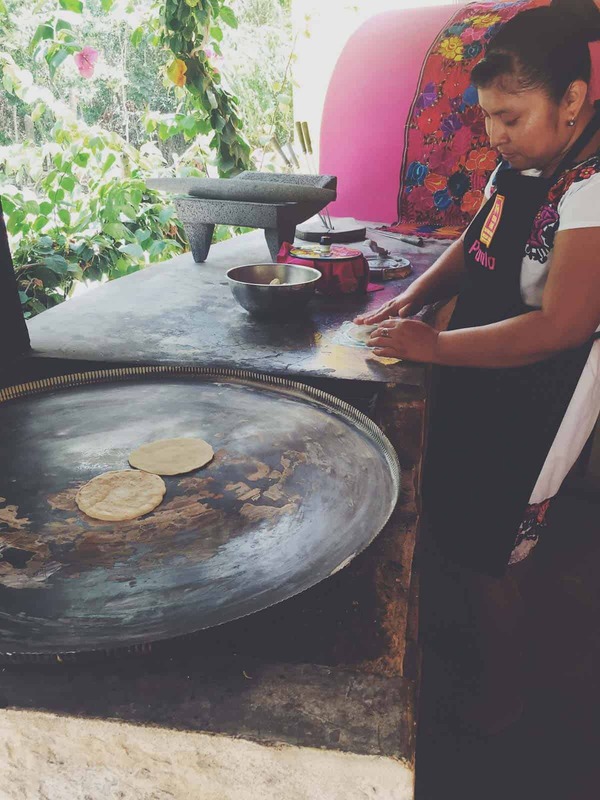 From the sweet tamale breakfast we had to start the day to touring the gardens for produce we’d use later while cooking to hand making tortillas in preparation for our feast together at the end, the experience was as authentic as they come in the Cancún/Riviera Maya area. We made cochinitas that might’ve been some of the best pork shoulder I’ve ever tasted, a pan de elote for dessert that was just pure simplistic deliciousness, guacamole the authentic way in a molcajete, but the dish that stuck out in my head the most was this sopa de lima or, Mexican lime soup. 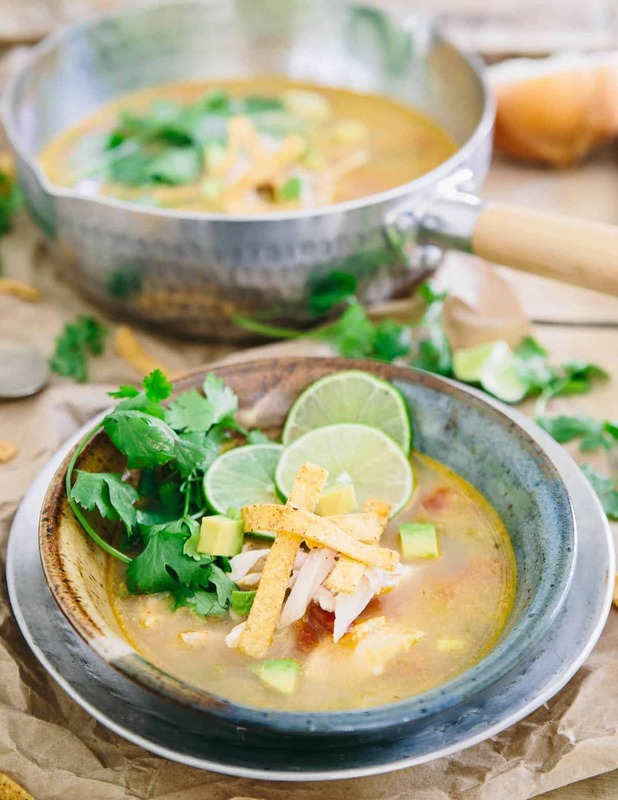 I’ve always had a soft spot for limey soups – this spicy chicken lime soup being an all-time favorite and my go-to when I’m sick (it’s why I love Thai soups of all kinds so much, the more lime and lemongrass, the better!) and chicken tortilla soup has been a long time favorite. The sopa de lima we made during the class was the most perfect combination of the two. 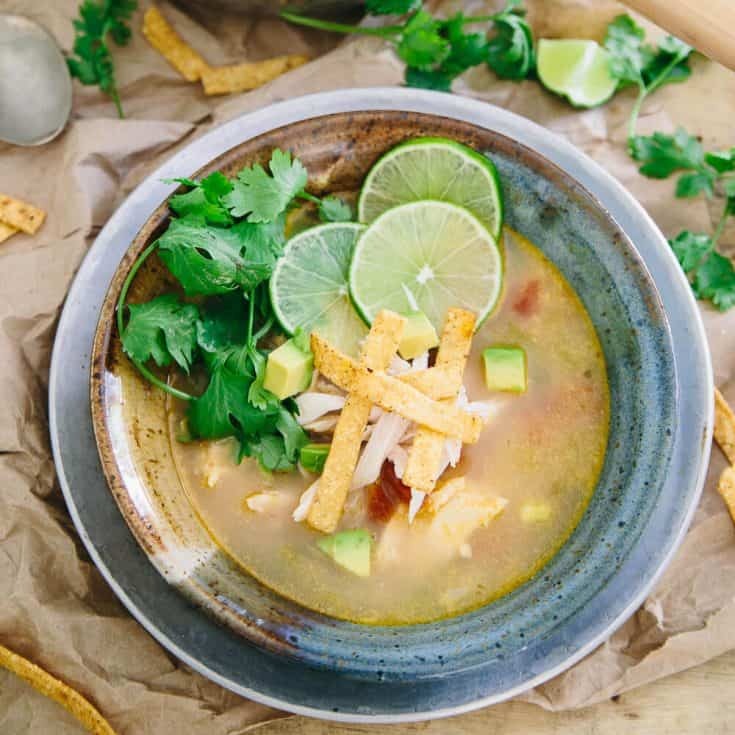 A flavor-filled limey chicken broth base with just a handful of traditional soup ingredients (onions, pepper, tomatoes) and packed with shredded chicken for satiety. I could’ve slurped that all day long no matter that it was 90+ degrees outside without any air conditioning. In fact, I got home from Mexico and the next night recreated it for dinner in a pinch using store bought chicken broth and a few other shortcuts. It was delicious, but I knew I wanted to do this traditional soup justice and make it the right way too. Which is where Broth and Stock comes in. Jenny’s book is a keeper for any household cook that takes pride in the quality of their ingredients. 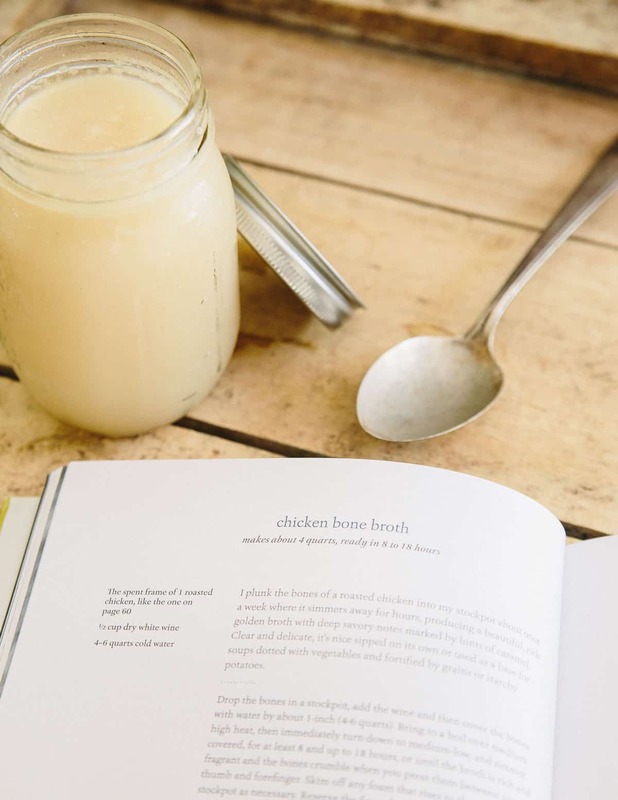 The book is anchored by a bunch of master recipes (like the one I used for this chicken bone broth) but then gives you a plethora of ways in which to use them. In fact, there’s even a recipe for Yucatán-style lime soup (sopa de lima) in the book! It looked great as well with a few slight variations from this one but I decided to stay true to what we learned in class with this recipe. I will admit that I’ve thrown away more chicken carcasses than I’ve actually made broth with before. It’s a long process but one that couldn’t be simpler and once you use for a soup like this where the broth is so heavily showcased, you’ll never really want to buy the store bought stuff again. Don’t miss hot and sour egg drop soup if you love a good tangy soup either, it’s a great Asian inspired option! A big thank you to Grand Fiesta Americana Coral Beach Resort for the accommodations and beyond amazing spa treatment and the Cancún Visitors Bureau for the invitation and hospitality. This Sopa de Lima (Mexican Lime Soup) recipe comes from Mexico Lindo Cooking School in Cancun. A classic, simple dish so full of flavor from the Yucatan. Place the chicken carcass in a large stock pot. Add the wine then water, covering the bones by about 1 inch. Bring to a boil over medium-high heat then turn down to medium-low and simmer, covered for 8-18 hours, until broth is rich and fragrant. Strain through a fine mesh sieve and pour broth into glass jars to store in the refrigerator. Once solidified, a thin layer of fat will form at the top, simply skim off before using. Add the broth, bay leaf, garlic, peppercorns, oregano and salt to a large pot. Bring to a simmer over medium heat for 10 minutes. Place the olive oil in a medium skillet over medium-high heat. Once hot, add the onion and cook for 3-4 minutes until softened but not browned. Add the pepper and cook for another 3-4 minutes until softened. Add the tomatoes, cook for 4-5 minutes then add the mixture and the lime juice into the simmering broth. Continue simmering the broth for another 5 minutes. Remove from heat, season with salt to taste. Place the shredded chicken in serving bowls. 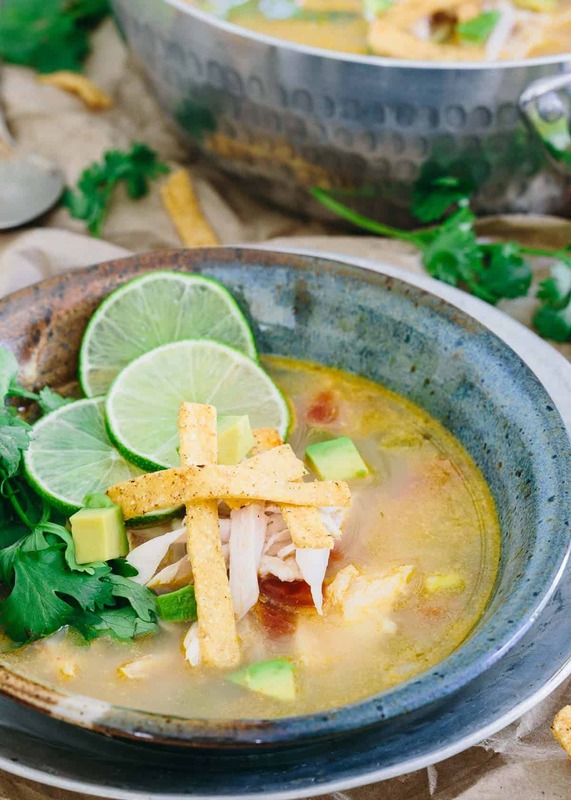 Ladle the soup on top and garnish with tortilla strips, avocado and cilantro. My travel, accommodations and attendance to the Cancún Wine & Food Festival was sponsored by the CVB, all opinions and content are my own. Well overdue or not, I am so happy you are sharing this now. We are having a rainy day here today and I have chicken stock that needs used along with fresh limes and cooked chicken. This looks great. After I saw this on Facebook, I had to hurry on over – I’m absolutely fascinated by this soup! It sounds so refreshing and delightfully tasty! 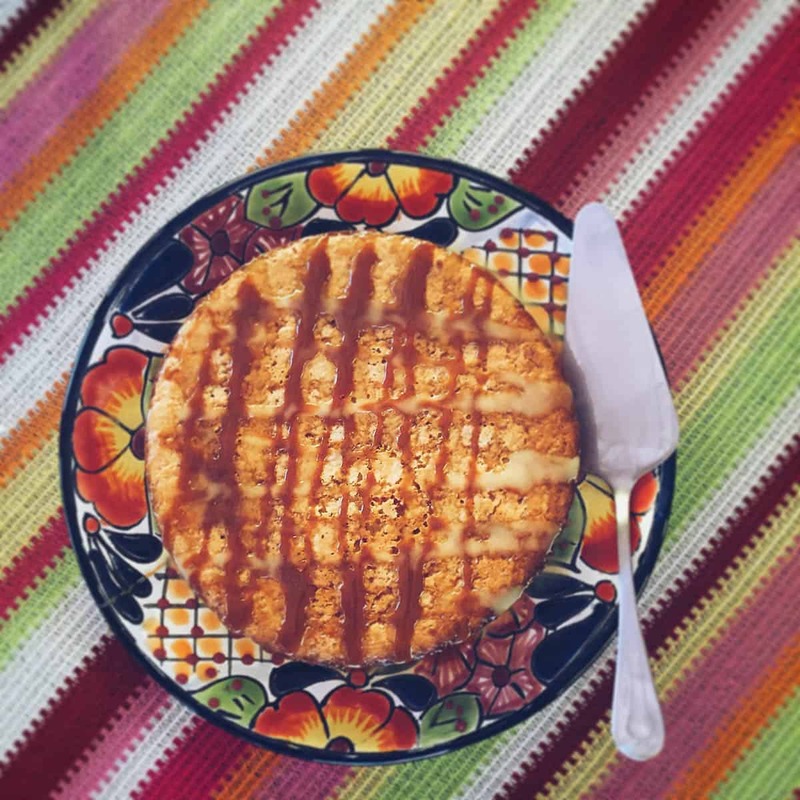 I’d never heard of Sopa De Lima before – thank you so much for introducing me to it. What a gastronomic delight the 2016 Cancún Wine and Food Festival sounds to have been! This soup looks dynamite! Love your photos too Gina! Even though it’s blazing hot right now, I have been craving soup something fierce. This is so perfect, it’s light, citrusy, and I want it now! This soup looks absolutely wonderful. And I love your pottery! I don’t even care that it’s 20430 degrees here, I am craving a bowl of this soup! I love ANYTHING lime, so this has my name all over it! Ok. First of all, Cancún Wine and Food Festival?! Ummm what? I need to do that. Also, this soup sounds crazy delicious!! Um, I’m pretty sure I need to do that as well, and gorgeous photos! This is one seriously perfect soup. I could eat this all day long. I adored this soup while I was visiting the Cancun area a few years ago and ordered it at least once daily. This soup was not only incredibly easy to make but amazingly delicious. My family loves it as much as I do. I’ll definitely be making this on a regular basis. Thank you! !